Mike’s Custom Flooring is fully licensed and insured to deliver superior experiences to our commercial and residential customers throughout Eastern Panhandle of Berkeley and Jefferson Counties in WV as well as Frederick, Loudoun and Fairfax Counties in VA. Mike’s Custom Flooring technicians consistently maintain high moral standards, friendly customer service, and extraordinary custom flooring services for customer satisfaction. We take advantage of exclusive top-grade products, equipment and tools offered to licensed professionals to enhance our abilities. 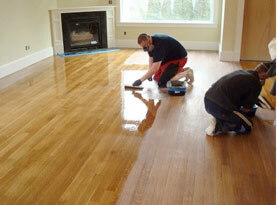 Included in the many services we extend to business owners and homeowners are floating hardwood floor installation. Floating hardwood floors are just that. They remain unattached to any subfloor. Underlayment is installed in segments prior to the installation of the floating hardwood floor. In most modern installation, the floating hardwood products will either click or lock together. Although in some floating installation services, the segments are glued together. 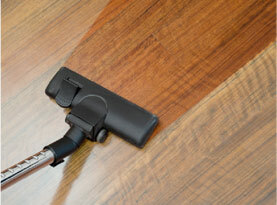 A special milled interlocking system is built in the hardwood floor locking methods. Similar to other floating floor installations, a flat and clean subfloor is required, as any abnormalities can contribute to malfunctioning mechanisms or the inability to not lock. No matter the method to their installation in your home or business has the experience and expertise to get your floating hardwood floors installed quickly and efficiently. 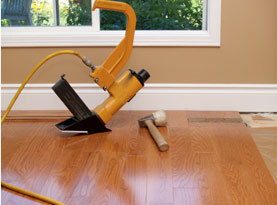 The most common floating hardwood floor derives from 99% of the installations being engineered wood. Solid hardwood is usually avoided being installed as a floating floor as it expands and contracts with weather conditions. The floating installation method is conducive to being installed over most hard floors including existing ceramic tile, particle board, gypcrete, and other types of hard materials incompatible with nail or glue down applications. Many of our commercial and residential customers find the floating installation beneficial as it is very comfortable to walk or stand on for excessive periods of time compared to ceramic tile, marble, stone, and even vinyl flooring. 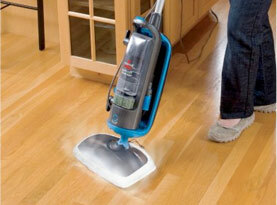 Scraping the concrete subfloors along with possible grinding if necessary may need to be executed before installation. Low areas may need to be filled with a fast drying patching compound. If the subfloor is wood and if any high areas are present, they may have to be shaved down with the use of a belt sander, edger, or planer. These areas are typically where floor joist systems or plywood sheets meet. Consider using an adhesive designed for floating glued installations and those that are allergy sensitive. In addition, if there is too much or a lack of moisture, all floating floors will expand and contract as a whole unit because pieces are held together and not attached to the sub floor. For larger layouts or long runs, we always suggest allowing as much expansion area as possible. Call Mike’s Custom Flooring for your floating hardwood installation in your business or home throughout Eastern Panhandle of Berkeley and Jefferson Counties in WV as well as Frederick, Loudoun and Fairfax Counties in VA. With our affordable prices and quick and efficient work, you will come to rely on Mike’s Custom Flooring for all of your custom flooring needs. Call us to to schedule your appointment!